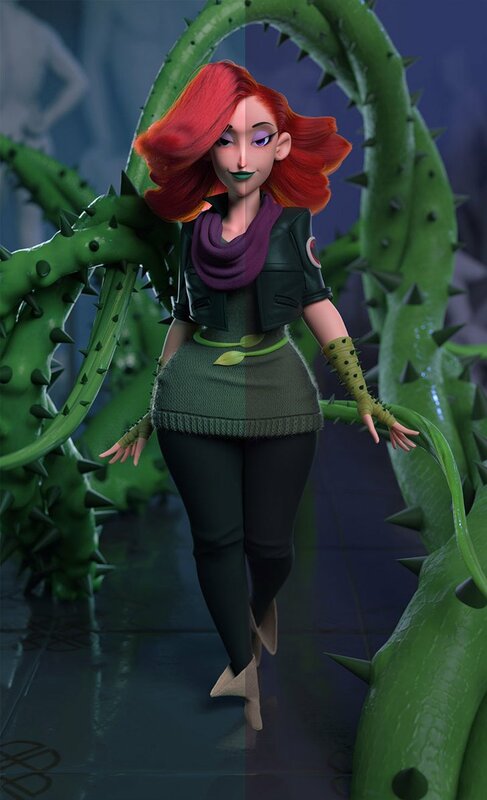 In this tutorial I will show you how I created my Poison Ivy image. 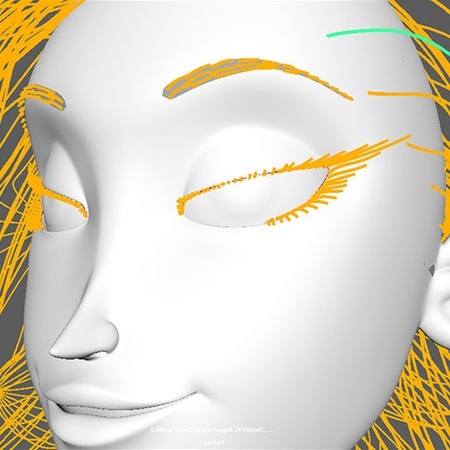 This includes the modeling, texturing, grooming in XGen, rendering, and compositing. 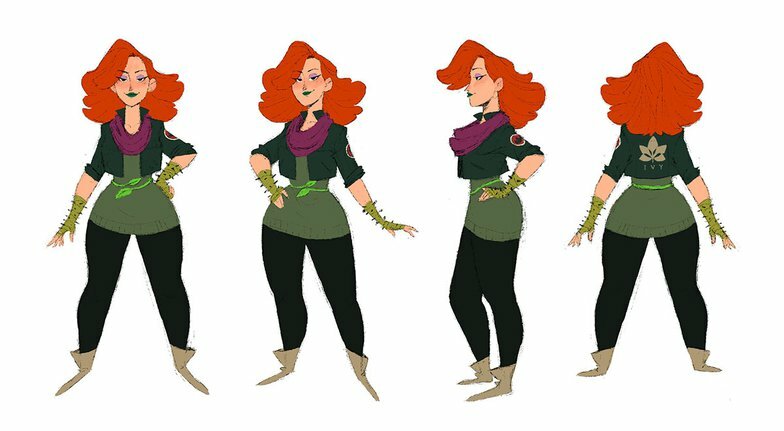 This character was based on the concept art created by Gop Gap for the The Vinoks Apatite fan film. 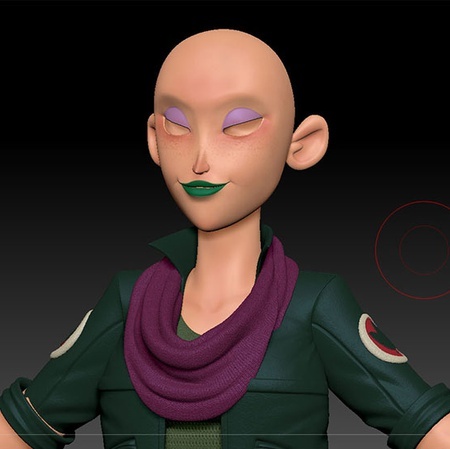 I was lucky that Gop Gap made a character sheet for this character so I could use this as a reference in ZBrush, and be more precise with the proportions of the character. 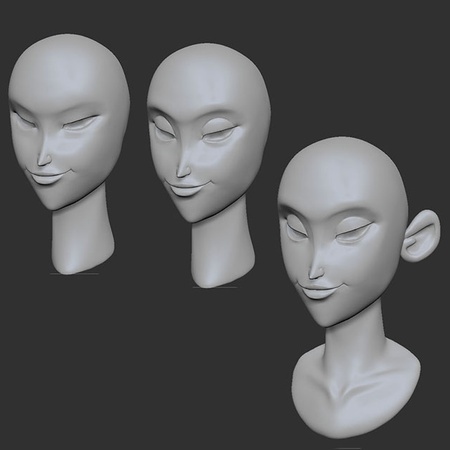 I always start by building the basic forms and proportions of the character using cylinders and modified spheres; in this way I can correct and modify the character before I make more details. 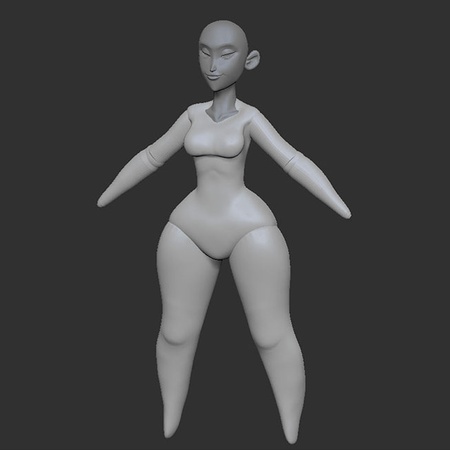 After I am happy with the proportions, I use the dynamesh tool and integrate all the model parts. 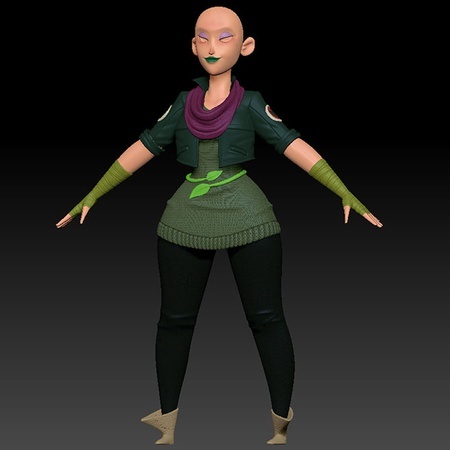 After I have the shape of the body I use the Decimate tool and take that decimated model into Maya. 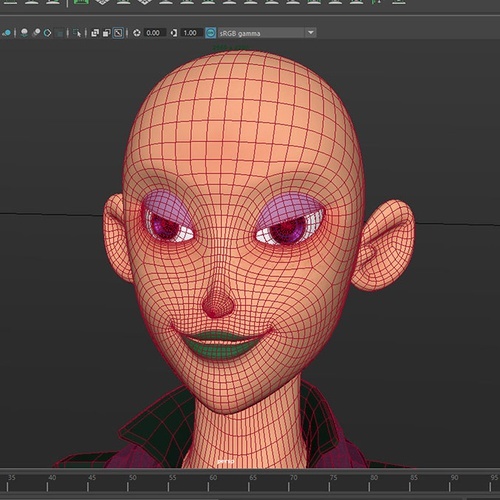 I like to use the body shape and make it live, and then use the Maya model kit to make the character clothes – this gives me more control on the topology from the beginning, the Quad Draw tool is very useful for this. 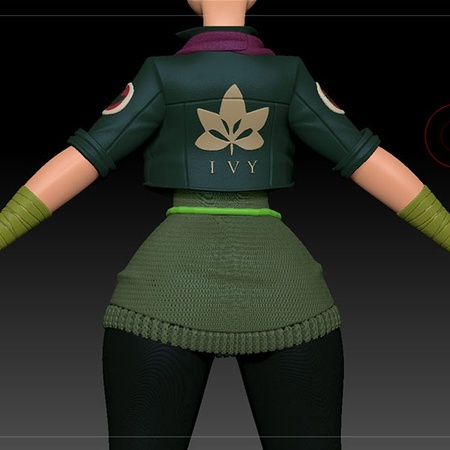 After I have all the clothes and body parts for the character, I make the UVs and then come back to ZBrush for the cloth details. 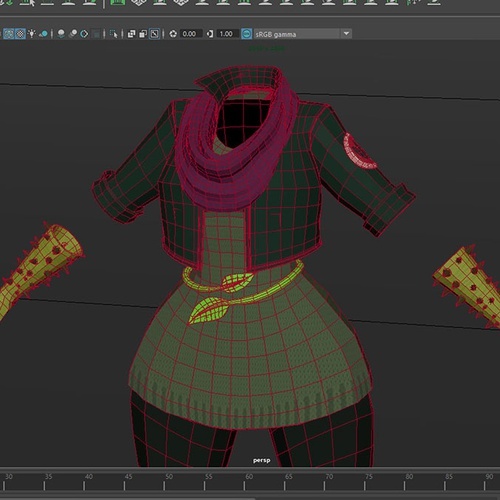 Remember that the better the UVs, the easier it will be to apply detail to your models in ZBrush, especially if you plan to make tiled textures like fabric or patterns. Once I am happy with all the details I can finally export all textures and displacement maps to complete the lookdev in Maya. 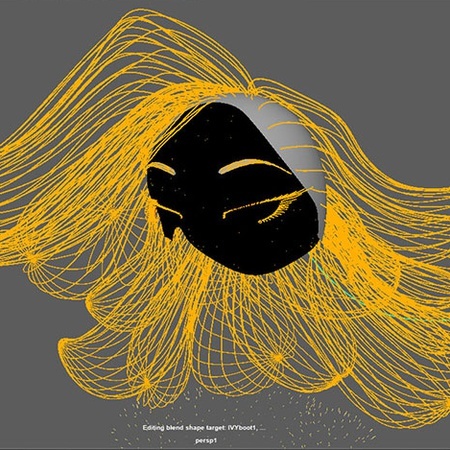 XGen is a powerful tool for grooming, the only minor setback would be that you have to be very careful with the naming of your models or you will have a lot of problems. 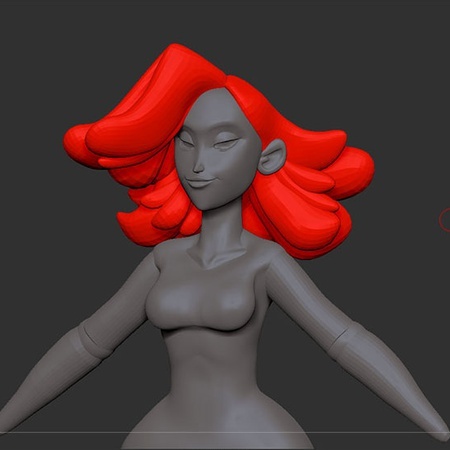 So first of all prepare the scalp for the parts that will need hair in your model. It’s better to cover more area and then make a density map to choose the area that will have hair. 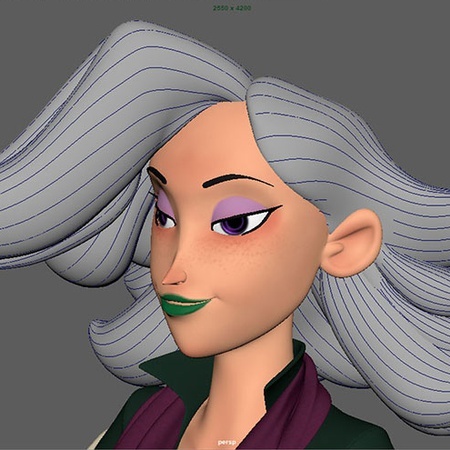 I extracted curves from the edges of the hair geometry and then used those as guides for the XGen hair. For the growing plants I extruded two circles that followed a curve and then twisted and tapered them to make them look like tangles, and then I added the spikes and sculpted some details in ZBrush. I textured the floor in Substance Painter and gave it a different roughness values across the surface. I used some free models for the background to make it look like she was in a museum. I wanted to make a night scene in a museum, but I also wanted it to look colorful and bright, so I decided to use some blue lights. This gives a night effect without compromising the joyful look. After the final render was done I made some color correct in Photoshop and also used some filters – this helped to create more contrast in the image.